You love our coffee, now you’ll love our BBCR Logo Tees! 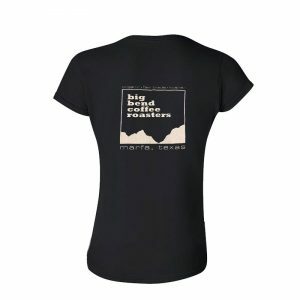 Made from 100% ringspun cotton, these ultra-comfortable tees feature our classic Big Bend Coffee Roasters Company logo on the front. Available in Black, Brown or White – These stylish Tee’s are a great gift from the cool town of Marfa, Texas.